RTÉ has named Kevin Bakhurst as the new Managing Director of News and Current Affairs. Mr Bakhurst has been Deputy Head of the BBC Newsroom since 2010, overseeing BBC TV News, Radio News and the BBC News website. He will take up his new role in early September. He said Mr Bakhurst ''has huge and varied experience, a proven track record and key leadership skills. He said it is one of the very few jobs that he would have considered leaving BBC News to do. Mr Bakhurst was born in Barnet in north London. He went to Haberdashers' Aske's in Elstree and studied Modern Languages at St John's College, Cambridge. 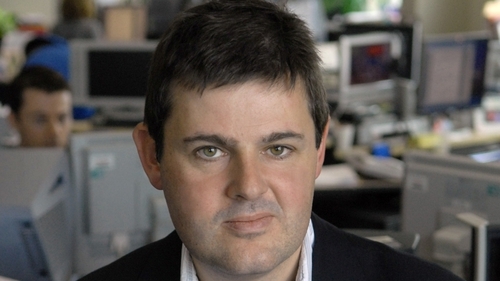 He was Editor of the BBC Ten O'Clock News between 2003 and 2005, during which time the programme won several awards. Mr Bakhurst has been Controller of the BBC News Channel since December 2005. He is also a member of the BBC's London 2012 Olympics management team and is a member of the BBC Director General's leadership group. Currently he is involved in delivering the BBC News move to central London and has also played a lead role in creating the BBC Multimedia newsroom. He has worked on a number of major stories in the field for BBC News, including the 11 September attacks in the US, the Inauguration of President Obama, US Presidential elections, the Paris Concorde crash and the 1997 Hong Kong handover.